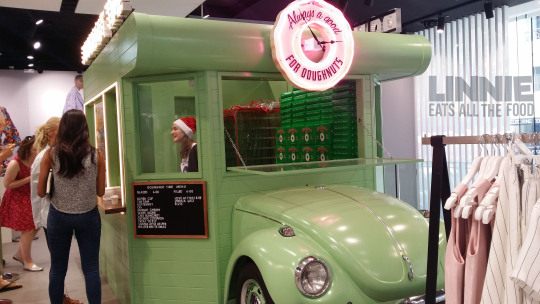 Doughnut time is located in Topshop (yes, in the actual shop) and you but the doughnuts from the little green van! 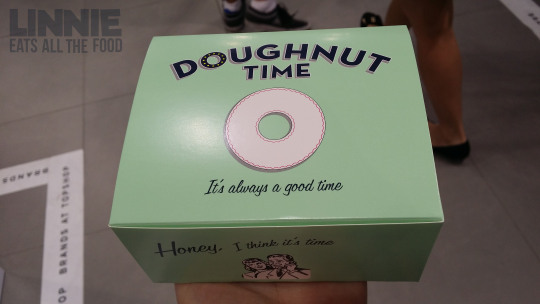 When we got there, we were overwhelmed by the doughnut choices and all their cutie patootie names. 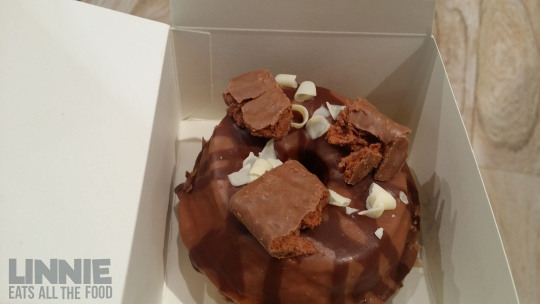 After a long indecisive 10 minutes, we decided to get The Cate Blanchett which consists of chocolate, chocolate and MORE chocolate and of course topped with tim tams on top (SURPRISE!). It also came in a super cute box too!! 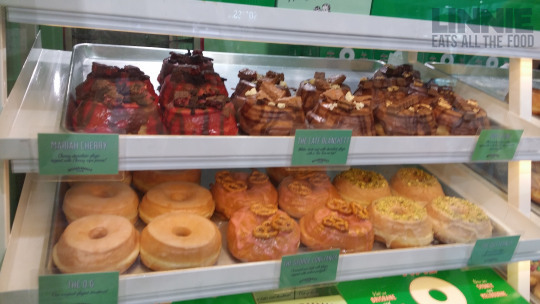 I found the doughnut to be a bit on the harder side and not fluffly at all. Sure, it was chocolately but that was pretty much the only good thing. 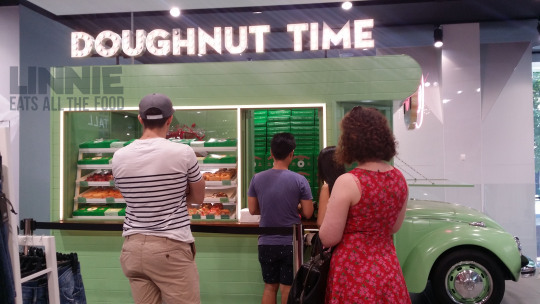 I don’t think I’ll come back to Doughnut time seeing as there’s quite a few places for doughnuts around.